Cancer is defined as an overgrowth of unhealthy or mutated cells. Conventional medical treatment for cancer includes chemotherapy and surgery. 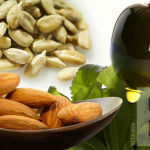 However, many natural remedies have been shown to fight cancer and protect the body from further free radical damage. Check with your health care practitioner before trying herbal remedies, and remember that herbs and other natural therapies are meant to complement, not replace traditional health care. Turmeric, an Indian culinary spice used in curries, is your first line of defense when it comes to fighting cancer. Turmeric has been studied extensively. Its main active ingredient, curcumin has been found to actually stop the growth of cancerous cells, and act as a scavenger of free radicals. Some forms of the herb appear to work better than others, and you should take pure curcumin extract where available. 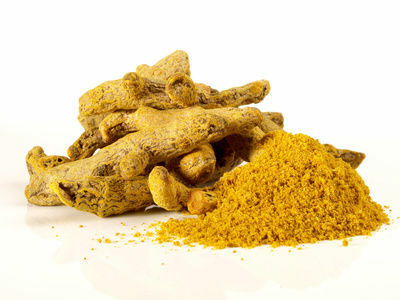 Curcumin has the added benefits of preventing inflammation in the body and helping the body adapt to stress. 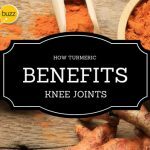 Fresh turmeric can be added to food, or found in herbal extract and tincture form. Therapeutic dosage: Dried, powdered root: 1 – 3 g per day; standardized curcumin extract: 400 – 600 mg, 3 times per day; or fluid extract: 30 – 90 drops a day, split up into separate doses. Acai berries have been prized for centuries by indigenous peoples of Central and South America for their many health benefits. They contain several chemicals which have antioxidant effects, meaning they help protect the body from the effects of oxidation and free radical damage. One recent study by the University of Florida even showed that extracts of Acai killed up to 86 percent of cancer cells in laboratory tests. Fresh acai juice is best. However, that can be hard to find outside of South America. It may also be found in frozen concentrate and liquid extract form. Therapeutic dosage: 500mg acai extract supplement taken daily is considered the standard. Some acai advocates say that between 1,000 to 4,000mg of acai, or 4 ounces of puree, taken daily is ideal. Check with your health care provider for the amount that is right for you. After beginning a cancer-fighting regimen with herbs such as Acai and turmeric, the next step is fortifying the body with proper nutrition. Alfalfa is considered a restorative herb, meaning it helps strengthen the body nutritionally. It aids in the assimilation of many nutrients, including calcium and iron, as well as protein and carbohydrates. It is sometimes used by herbalists to treat anemia, stimulate the appetite and combat fatigue. It is specifically used for cancer patients as it helps protect the body against the effects of chemotherapy. It is also being studied as an adjunct treatment for HIV and other wasting diseases. Fresh alfalfa sprouts can be added to salads and other dishes. Alfalfa extract can also be found in dried leaf and tincture, or liquid extract form. Therapeutic dosage: Between 500 and 1,000 mg of alfalfa leaf extract, or 1-2 mL of alfalfa tincture daily. An unfortunate side effect of chemotherapy is nausea and vomiting. To combat these effects, take ginger root. 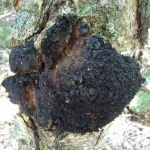 It can be consumed as an herbal tea or taken in dried powder form. It stops nausea and vomiting, and has the added benefit of alleviating pain. For best results, use fresh ginger root from your local market. Therapeutic dosage: One to two slices made into an herbal tea, three to four times daily, or as needed. For dried extract, take as much as 4 grams daily. Soy has long been recognized for its health benefits. It is used as both food and medicine. The soy bean is naturally rich in both a quality protein and cancer-fighting antioxidants. 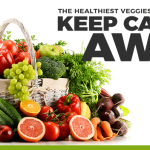 It also provides a way for you to fight cancer without adding another pill or liquid supplement to your daily regimen. Soy can be consumed as a milk substitute, while tempeh and tofu can be added to soups, stir-fries and other tasty dishes. Roasted soy nuts also make a healthy snack. Therapeutic dosage:There are no therapeutic guidelines for soy, but many consume as much as a cup of soy foods daily without adverse effects. Some soy crops are grown with harmful pesticides however. So, look for organic products where available. 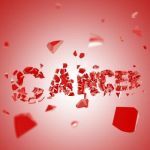 All of the above steps are of no value if the cancer-causing elements in your life are not removed. If you smoke or use tobacco products (which have been proven to cause cancer) – stop immediately! Eliminate stimulants and other harmful substances such as coffee, refined foods and alcohol, from your diet as much as possible. Begin to incorporate more chemical-free and eco-friendly products into your life. As you do so, over time you will be able to let go of many of the chemical laden products that have been such as integral part of industrialized societies. I had known the antioxidants herbs from your atricle and they all are medicated.All these herbs are using for cure and it is more better to use in your daily life.With one or two supplements can prevent you from cancer and chronic disease.I had experience of turmeric(bitter) powder.The turmeric powder,honey and other herbs ingredients made to be pills and i ate everyday.For two to three years ,now i am free from high blood pressure and i could stay in normal life. Another herbs for pain release in cancer treatment is Vistisspp in my country.It can reduce inflammation and feel better. From just to now i started to use the herbs you had already written in your site such as turmeric,ginger and soya in my everyday meals.Thank you for your all great information for our health. i am always wary of the terms “traditional health care” does that mean main stream medicine? 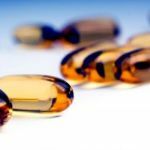 everyone should research the true statistics for conventional treatments as there is extensive evidence to suggest that one lives longer without their treatments than with it. surely it is common sense to most that cancer will not be healed by substances that give you cancer and destroy your immune system. I have read that fermented soy – soy sauce and miso, is acceptable over non-fermented versions. Use a low-sodium version of the sauce. i make salad dressings from the miso, and put it over vegetables. it can be an acquired taste, but I’ve grown to like it over time.